A successful home purchase or sale nearly always starts with a good agent or broker. Real estate is a complex and continually changing business, and College Park agents and brokers are trained and educated in its many rules, regulations and standards. They have the inside scoop on different College Park, GA neighborhoods and areas and know what constitutes a fair price in the market. Hiring a pro in College Park, GA also means you won’t have to deal directly with the prospective buyers or sellers, which may save you some tension. Mavis is the Broker & Owner of Mavis Lane Realty, LLC. With over 18 years experience in Real Estate, Mavis' Clients receive her personal attention. Her previous background was in Custom Home Building and green building. Her knowledge of the area and attention to detail, allow her to build strong Client relationships. Luxury attention at any price range is our goal. 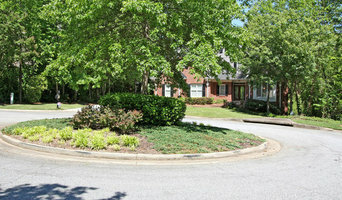 Mavis' Boutique office is at 3475 Dallas Highway, Suite 402, convient to Barrett Parkway and The Avenue of West Cobb. 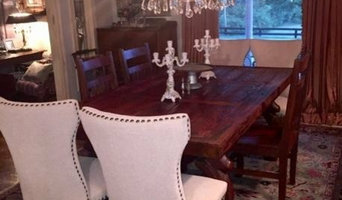 The office is decorated with hand made furniture, by her husband Jack. Personal attention and the latest in technology, combine to create a Luxury Real Estate Experience! At The Rains Team we believe specialization produces superior results. Our dedicated seller team works full time with the seller to market and sell their home. This allows our sellers to get the most amount of money in the shortest time possible for their home. Our dedicated buyers team leverages the most emergent technologies and cutting edge tools to locate the best deals in the market. This allows our buyers to beat other buyers to the best deals in the market. Because of our unique approach to real estate we come in contact with more sellers and buyers than other agents. This gives our sellers and buyers a competitive advantage that other agents can not offer in today's market. Atlanta GA | Beacham & Company Realtors A great real estate agent is a combination of Matchmaker and Treasure Hunter. The excitement of finding the perfect home for a buyer or getting a great offer for a seller never gets old. Every day is a new adventure! I pride myself on honesty, professionalism and treating my clients as if they are family. Each one of my clients is special and most have become good friends. They know, without a doubt, I am on their side, looking out for their best interest. Many of my clients are relocating to Atlanta from other parts of the country. I love introducing them to Atlanta. Every area and neighborhood has its own unique charm. Helping buyers find the right match is like putting together a giant puzzle. As one of the top real estate teams in Atlanta, with over 25 years combined experience, we have a proven track record of success. Professional full time Real Estate Agent servicing NW GA who focuses on client needs, customer service and negotiation. Specializes in Luxury Homes Sales through staging and marketing. With a love for Church, Family, Career and My Rescue Dogs. I work hard and close with each client. 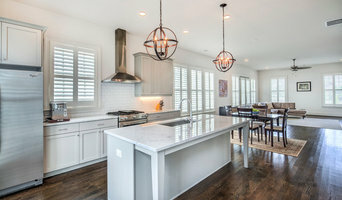 Tamra Wade and Partners is a leading real estate firm in Georgia offering metro Atlanta Home Builders a full-service sales and marketing solution. For more than two decades Tamra Wade and Partners has provided a variety of real estate services in Metro Atlanta for both sellers & buyers of residential real estate. Known for our commitment to the highest-quality standards and accountability in homebuilding, we build luxury custom homes across Atlanta's intown neighborhoods. Whether you want to upsize, downsize, or rebuild on your current lot, our Obie award-winning, Custom Dream Home Program provides a clear road map for you. Our award-winning program partners include the architectural team Harrison Design, interior design team Fresh Creative and top luxury purveyors such as Wolf/Subzero, Circa Lighting, Ferguson and Founders Kitchen and Bath, to name a few. Our Custom Dream Home Program makes building a custom home more transparent and cost-effective for everyone. Why settle for less (in a neighborhood or home) when you can get exactly what you want? Call 404-273-3186 today to learn more about the Custom Dream Home Program. Serving Atlanta Real Estate Markets.. Poised with a wealth of business acumen and a commitment to securing customer satisfaction first, Share has developed a hands-on sense of experience that affords her clients with a sense of security and peace of mind in regards to their investments. Now she brings her passion and sharp attention to detail to help buyers in a highly focused search for their new house and to help sellers receive the most value for their home. Other people talking about me..... Working with Kali Bhargave was a wonderful experience! After working with a realtor who completely wasted our first visit we decided to approach Kali. As first time home buyers we had our inhibitions but Kali walked us through the entire process very smoothly and was always on top of things. We often joked that Kali is more concerned about getting us a great home than we are! The best part about working with her is that she is all about educating her clients and never tries to influence your decision. Instead she arms you with a lot of knowledge about the market so that you can make the best possible decision. We are very thankful to Kali for finding us this great place to live and would highly recommend her to anyone looking for a home in Peachtree City ! Me talking about me..... I have all the attributes to becoming your real estate agent. 3 of my most important attributes are my3 I’s. Integrity, Insight and Intelligence. I have the know how to understand the needs of my clients and deliver them. I am smart enough to know what is missing and how I can quickly get it. These 3 I’s along with many other attributes help me pursue excellence in the process of selling and buying property. I have been a business professional for the past 13 years which has helped me hone my skills as a hard working, organized, problem solving REALTOR®. Along with my experience I am backed by 50 years of collective experience at Berkshire Hathaway Home Services. I have lived in Peachtree City since 1999 with my husband and children. With one child in the Fayette County School system and another at Paideia on Ponce De Leon, I am focused on marketing and showing properties in 2 areas of Atlanta- Fayette County as well as Inman Park and its surrounding neighborhoods . When you want help finding the right home for you or getting the most value out of the home you want to sell, we put an entire team on the job. We’re experts in the northwest metro Atlanta area including Cobb, Cherokee, NW Fulton and Paulding Counties. Last year we sold one home per week. The Cowan & Associates Team of Carol and Ris Cowan have more than 35 years of combined real estate and marketing experience to make your search or sale an Excellent Experience. Contact us at 678-457-1155 or Ris Cowan at 678-362-5563 or email me at carolcowan@tds.net and I’ll help you sell or find your next home. Kathy has over 20 years of experience building a successful team with her business partner Mary White. Kathy and Mary have built a large network of clients throughout the years in their real estate practice in the Atlanta market. Her many years of experience has given her the knowledge of all the in-town neighborhoods as well as many of the suburban areas of Atlanta. Her experience in these markets is key to providing her clients with historical and present- day facts that help guide her clients in making just the right decision. Mary has over 20 years of experience building a successful team with her business partner Kathy O’Brien. Kathy and Mary have built a large network of clients throughout the years in their real estate practice in the Atlanta market. Her many years of experience has given her the knowledge of all the in-town neighborhoods as well as many of the suburban areas of Atlanta. Her experience in these markets is key to providing her clients with historical and present- day facts that help guide her clients in making just the right decision. I am a licensed Real Estate agent with the best team in Atlanta behind me! I am a recent graduate of Georgia State University with a Bachelors in Managerial Science and I have a history of project management and sales experience. 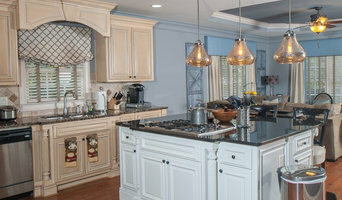 I work with all types of residential clients in the Atlanta area. My areas of expertise include first time home buyers, investors, individuals looking to build their own custom homes and sellers. We provide our clients with a Comprehensive List of Real Estate Solutions. Our Specialist areas are: Luxury Homes, 1st Time Home-buyers!!! Buyers Agent, Listing Agent, New Construction Consultant, Investment Acquisitions, Market Consultant and also Property Leasing Agents. We use modern technologies to provide our clients with the most up to date Real Estate tools that insure the smooth processing of every transaction. Our team of knowledgeable Real Estate Professionals pay very close attention to the requirements of every client. From Contract To Close we insure that our valued clients are represented with all of their best interests at the forefront. We would appreciate the opportunity to earn your business and provide you with excellent Real Estate Services. Whether you are looking for a place to buy, invest, or rent, I'm here for you. Having lived in the greater Atlanta area for almost all my life, I am well connected within the community and know the local real estate investment trends, sometimes before they even happen. I will work to find you the newest listings and best deals in your market and get your current home sold quickly and profitably. Why? I believe that the road to finding a place to live doesn't have to be frustrating—in fact, with me in your corner, it can be a lot of fun!